Just like many things in our lives, technology has changed the way that we brush our teeth. We now have the option to use advanced electric toothbrushes or brush our teeth the oldfashioned way with a manual toothbrush. With everything around us becoming more electric, that leaves us wondering if we should update our toothbrushes too. 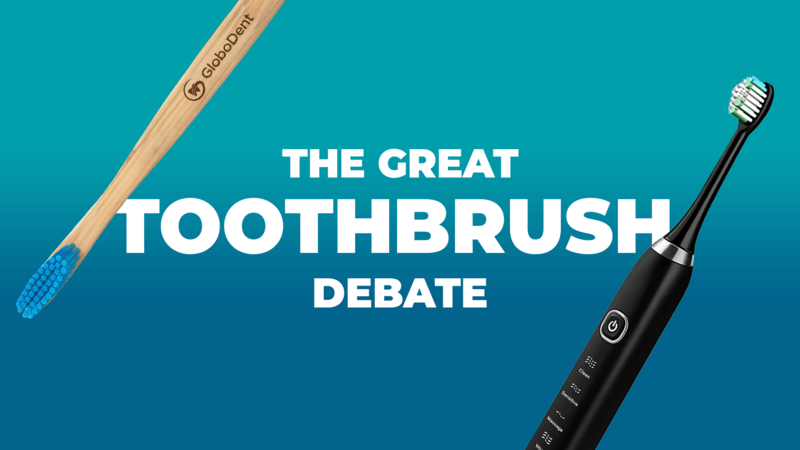 But are electric toothbrushes really better? Do manual toothbrushes work just as well? There are numerous benefits to using an electric toothbrush, like the Sonic Electric Toothbrush, rather than a manual brush. Built-in Timer: Electric toothbrushes have built-in timers that let you know when your 2 minutes of brushing is done. This will make sure that you are actually cleaning your teeth for the universally recommended amount of time. Smart Reminder: Another benefit is that electric toothbrushes have smart area reminders. With this feature, your toothbrush will indicate every 30 seconds that it is time to move to another section of your mouth. This ensures each quadrant of your teeth and gums get the cleaning attention they need. Brushing Modes: Electric toothbrushes like the Sonic Electric Toothbrush offer different brushing modes. These can include a whitening or polishing mode or a gentle mode to use on sensitive teeth and gums. For dental patients that prefer convenience and an all-around clean with several different customization options, an electric toothbrush like the Sonic Electric Toothbrush is the best option. Even though electric toothbrushes are seen as the most advanced and best toothbrushes, there are still many benefits to using a manual toothbrush, such as our EcoFriendly Brush. Inexpensive: When it comes down to price, manual toothbrushes are less expensive. This is simply because these brushes don’t require any electric wiring to operate. Ready to Use: One of the best parts about owning a manual toothbrush is that it is always ready to use. You do not have to worry about keeping it charged or replacing the batteries. Compact for Travel: Many people prefer to take manual toothbrushes when vacationing or traveling. Their compact size and lower replacement cost make them ideal for trips out of town. Both manual and electric toothbrushes have their own advantages, and they are both great options to help keep your teeth clean and healthy. Both remove plaque and give you a whiter smile with fresher breath. Whether you decide to stay with a manual toothbrush or try an electric toothbrush, GloboDent has options for both to help you keep your teeth looking amazing! Check out all of our products at https://www.globodent.com/shop-online/.